Book Busters Bookkeeping Service (BBBS) is owned and operated by Darci Posch. 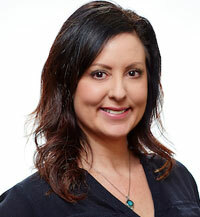 Darci has an extensive background in establishing and maintaining small and medium-sized business bookkeeping systems. As a full charge bookkeeping service, BBBS meets the individualized needs of each client. All work is handled as confidential information. Darci Posch is the owner of Book Busters Bookkeeping Service. As a full-service bookkeeper and QuickBooks Certified ProAdvisor, she has been helping businesses throughout the Bay Area establish healthy books and take the mysteries out of bookkeeping.